Design a gallery exhibition representing 35 years of Michael Vergason's landscape architecture work. The gallery was situated in a public/private office space on the campus of University of Virginia. Sketches were buried between years of books and pages. One of the most delicate drawings was lost for years and resurfaced the week of the installation. 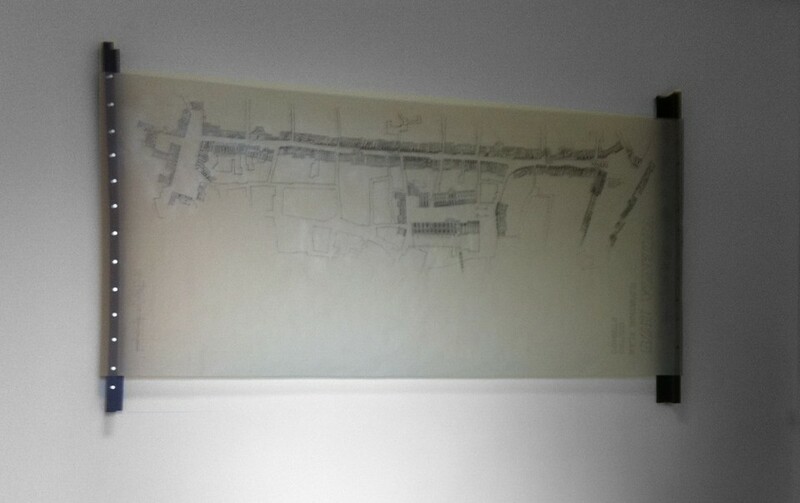 It was also the largest sketch and important for the exhibition. 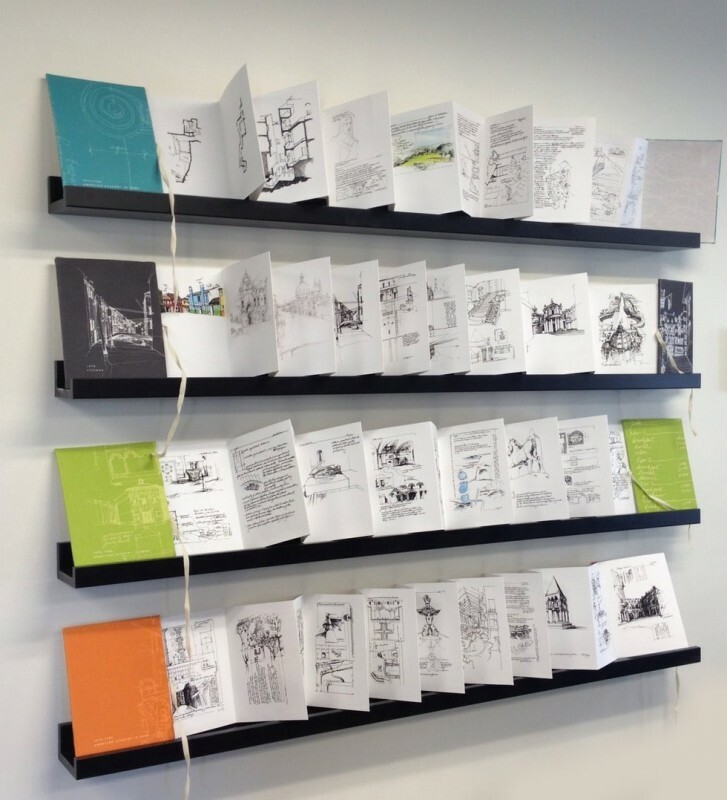 As an intern with Michael Vergason Landscape Architects, I designed and fabricated handmade books for this University of Virginia exhibition of Michael Vergason's sketches and paintings. 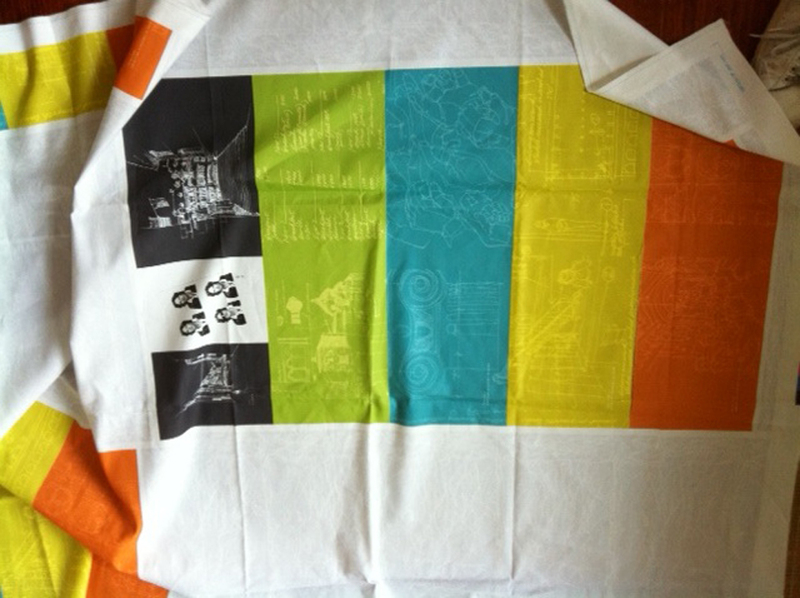 I custom designed bookcloth using his sketches for the bookcloth covers. The books, more sculptural than framed sketches, engaged the public. To protect the delicate vellum drawing, I hung it using super magnets and metal strips on IKEA shelves turned sideways. To further protect the surface we situated it high on the wall behind the dean's desk. The effect of this display was much like a stretched skin on a frame.